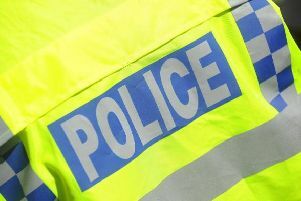 The incident happened between junction 2 for Kelmarsh and junction 3, Rothwell, on the eastbound carriageway of the A14 between 10.45am and 11am on Friday (November 16). Three vehicles were involved in a collision and ended up in a layby. Northamptonshire Police say the drivers of each vehicle then ended up in an affray. All three men sustained injuries during the incident and the vehicles involved were also damaged. The men involved are described as a white man in his 40s with a bald head and wearing a yellow high visibility vest, a white man in his 40s with a bald head and wearing jeans and a dark coloured polo shirt and a third white man in his 40s with short, dark cropped hair and wearing a dark coloured polo shirt. Witnesses to the incident, or anyone with information or dash cam footage, should call Northamptonshire Police on 101.